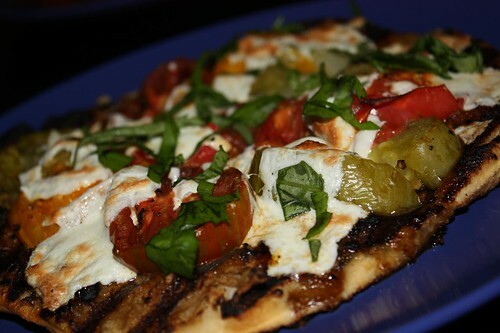 As we left off last time, we were concluding the summer by enjoying as much grilling and fresh tomatoes as possible. There was also something about a guy wearing an overhead light as a hat but we never did solve that mystery. 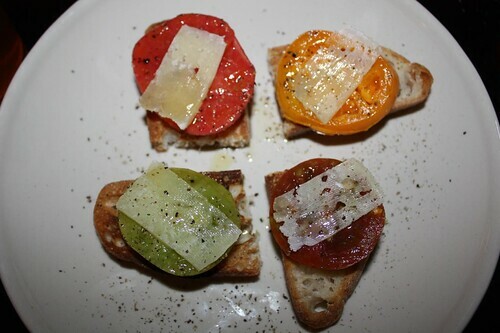 For a first course I took some roasted heirloom tomato and served them on toasted ciabatta with a slice of manchego and a drizzle of olive oil. 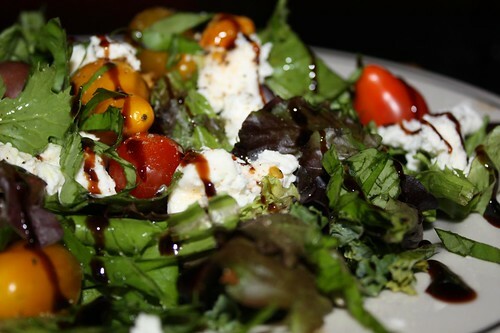 Salad took advantage of the last of the Hepworth Farm tomatoes, some more Lioni mozzarella, olive oil, and balsamic glaze over mixed greens and kale. 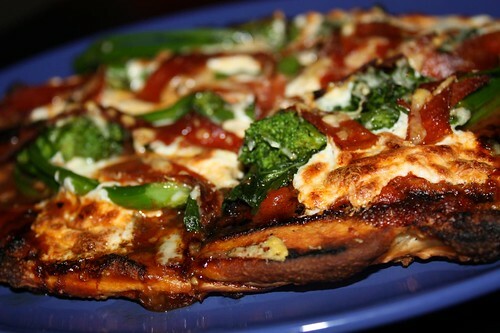 With the remaining pizza crusts left over from last night's pizza meal I made a broccoli rabe and pepperoni pizza and one simply with heirloom tomatoes from Connecticut. I can't actually remember if I've had this beer yet but at any rate, I'm having it again. 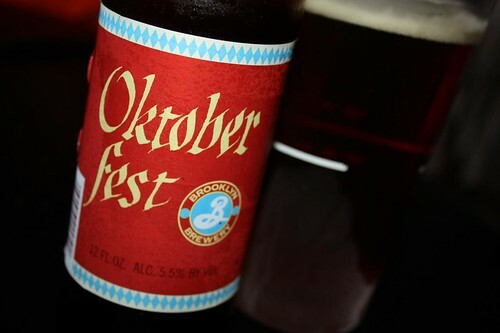 It's Brooklyn Brewery's Oktoberfest (spelled correctly this time). With Fall coming on Wednesday I've gotten a good jump on the 687 fall beers I have seen available this season. And who knows what tomorrow will bring? My hope: something that actually goes with fall seasonal beer.